Consumers with a home or personal loan through Loan Depot can make payments online by visiting loandepot.loanadministration.com. This loan access portal is available for customers to access their loan 24 hours a day and conveniently make online payments. It’s free to use with no additional costs for reviewing their loan information. Users can also access their account information while on the go via their mobile devices/smartphones. Whenever you logon you can trust your loan information is safe as the website has security protections. To get started with using Loan Depot’s payment portal users can visit the homepage at loandepot.loanadministration.com and login with their User ID and password. First time users that have not already created their login info can select the Register User ID/Password link and be taken to the registration page. 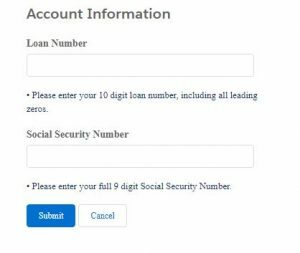 When registering you will need to create/enter your login credentials based on their requirements and enter additional info such as your primary loan number, social security number, email address, and create your security verification questions/answers. The loandepot loanadministration registration process is a short process but after you’ve finished it’s a good idea to write down your login info in a safe place so you can remember it. When logging in you will only receive 3 attempts to access your account before you are locked out. If you get locked out of your Loan Depot account you will need to speak with a live agent for assistance. Once logged into LoanAdministration users will be able to view their loan info just like they would when receiving their monthly statement in the mail. You can review your total balance, monthly balance, payment history, statement, insurance, escrow, etc. Making payments are very secure and convenient from your online LoanAdministration payment account. Users can setup their bank account to draft their loan payment from every month. You will need to setup your bank routing number and checking account number inside your account. As a precaution and to ensure your account stays in good standing be sure the bank account your monthly payment is being electronically debited from stays funded with the exact amount of your mortgage on the due date. This will ensure you don’t run into problems. To pay your LoanDepot payment by phone customers can utilize the automated system or speak with a Customer Service Representative by calling 1-866-258-6572. When using the automated system note the system is available 24 hours a day to receive payments. Customer Service Representatives are available 7am to 7pm Central standard time Monday – Friday 8:30am to 8pm. Loan Depot currently takes payments for homeowner’s insurance premiums, property taxes, and mortgages. For fast service and convenience make your payments online at loandepot.loanadministration.com or by mail/phone.